On April 6, 2016, Cotton Campaign members Alternative Turkmenistan News (ATN) and International Labor Rights Forum (ILRF) submitted a petition to U.S. Customs and Border Protection (CBP) asking the agency to use its authority under Section 307 of the Tariff Act to ban the importation of all goods made with Turkmen cotton based on overwhelming evidence it is produced with forced labor. Since filing, ATN and ILRF provided CBP with additional reports documenting systematic, state-orchestrated forced labor in Turkmenistan’s cotton sector. “CBP’s decision is an important step towards ending one the most egregious cases of state-orchestrated forced labor left in the world,” said Eric Gottwald, Legal & Policy Director of International Labor Rights Forum. “Now CBP must put the ban into practice by identifying and stopping specific shipments of goods made with Turkmen cotton,” he added. “Annually, the Turkmen government forces tens of thousands of public sector employees, including teachers, nurses, and doctors, to pick cotton, pay a bribe or hire a replacement worker, all under threat of punishment, including loss of wages and termination of employment,” said Ruslan Myatiev, editor and founder of Alternative Turkmenistan News. “In the 2017 cotton harvest, in addition to forced mobilization of adults, the government of Turkmenistan forced children 10-15 years old to pick cotton in violation of international and domestic laws,” he added. Civil society activists and journalists seeking to document forced labor in Turkmenistan’s cotton harvest cannot operate openly without risking intimidation, harassment, arrest and detention. The Cotton Campaign continues to call on the Turkmen government to release ATN reporter Gaspar Matalaev, who was imprisoned on October 4, 2016, two days after he published a report documenting the systematic use of forced labor, including children, during Turkmenistan’s annual cotton harvest. 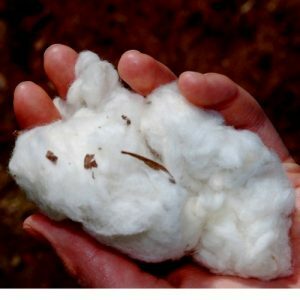 “CBP’s ban means retailers and brands need to move quickly to identify and eliminate Turkmen cotton from their supply chains,” said Patricia Jurewicz, Co-Founder of the Cotton Campaign and Director of Responsible Sourcing Network, an organization that hosts the Cotton Pledge Against Forced Labor in the Cotton Sector of Turkmenistan. “We’ve seen corporate and regulatory pressure work in Uzbekistan, and now is the time for brands and retailers to ban Turkmen cotton like Inditex, IKEA, VF, and follow the lead of H&M and sign the Turkmen Cotton Pledge to help end state-orchestrated forced labor in Turkmenistan,” she added. The Cotton Campaign is a global coalition of human rights, labor, investor and business organizations dedicated to eradicating child labor and forced labor in cotton production. In the Netherlands, for Alternative Turkmenistan News, Ruslan Myatiev, +31684654547, editor@nullhabartm.org (English, Russian, Turkmen). In the United States, for the Cotton Campaign, Kirill Boychenko, +1-907-885-8691, cottoncampaigncoordinator@nullgmail.com (English, Russian).